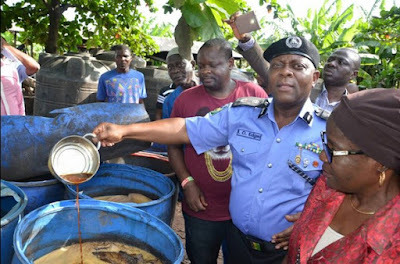 The Lagos State Police Command on Wednesday uncovered an illegal brewery where malt drinks and fake stout are produced at Egbe-Afa, Igbobo area of Ikorodu in Lagos. 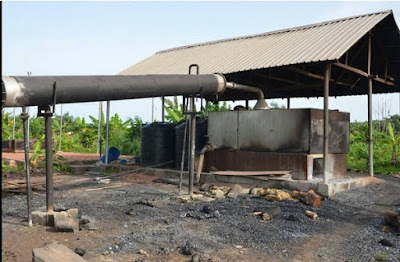 Five of the suspects behind the factory were also arrested by a team led by Lagos State Commissioner of Police, Imohimi Edgal, who took newsmen to the scene of the crime. It was discovered that the illegal brewery produced malt drinks, stout and Ethanol which they pump into trucks to bottle at another location. According to Imohimi, the suspects would be further interrogated to know where the drinks are bottled and sold.